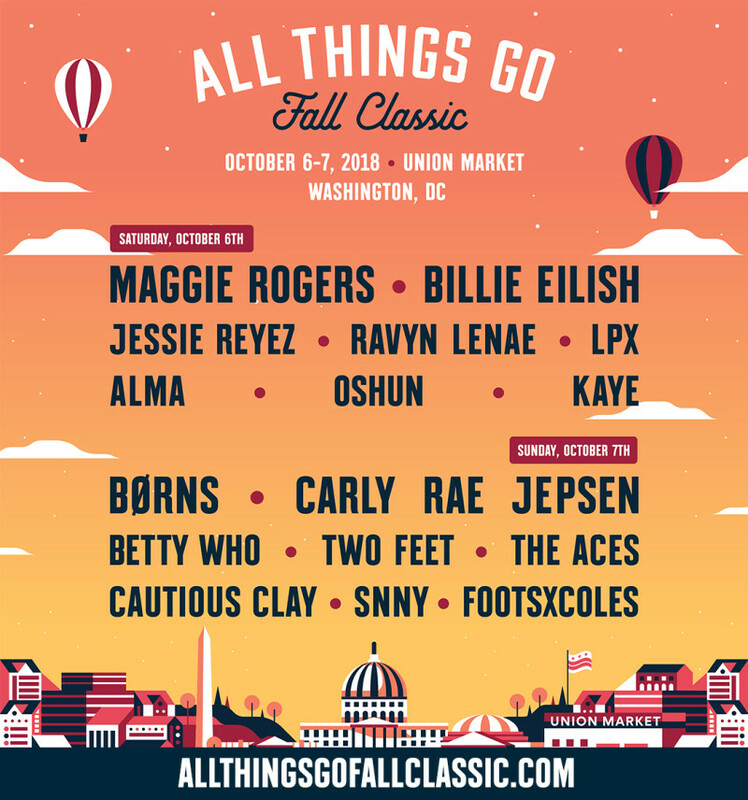 The All Things Go Fall Classic returns to Union Market on October 6 & 7, 2018. This year’s festival has got an extra-special two-day lineup. Saturday, October 6th features an all-female roster helmed by two of today’s most exciting artists: Maggie Rogers and Billie Eilish. Sunday, October 7th keeps the party going with a power-punch headlining block of BØRNS and Carly Rae Jepsen. We haven’t even mentioned some of the other artists we’ve got on the bill, including Betty Who, Jessie Reyez, The Aces and more. Early bird tickets for the Fall Classic are on sale now! And if you’re on a budget, we’re also offering ticket payment plans that start as low as $17 down. Click the button below to get yours!